The Old Chapel in Trelogan is the residence of Roger & Gillian Fisher. There are frequent events of interest taking place at The Old Chapel, so you are advised to visit this page regularly. Events include Organ and Piano Recitals, Song Recitals, and the very popular and enjoyable Master Classes (taking place “as announced” on this site). There is a concert room which seats 25 people, a pipe organ built by George Sixsmith (CLICK HERE to see its specification) and a grand piano. The concert room doubles as a teaching studio and Roger Fisher is available for consultation lessons by appointment. Next Event: Saturday November 4th at 3.p.m. Piano duets by Fauré & Schubert, together with the Piano Concerto in B flat major (K450), Mozart. 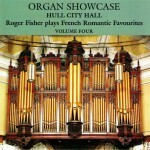 The orchestral parts of the concerto will be played by Graham Eccles on the organ. There is no charge for admission, but we hope for a donation towards expenses. Accommodation is limited, so please telephone in advance (01745-561072) to make personal contact and to reserve a seat. We can send travelling directions if we have your Email address.